Three years into its operations, the Early Childhood Family Center operated by Stillwater Area Public Schools recently earned LEED Gold certification in the LEED for School category by the U.S. Green Building Council. The Gold designation certifies that the building meets a set of strict criteria for environmental sustainability in both construction and operations. “This is a significant achievement for the school district. Schools have the ability to set a positive example for students about our impact on our communities and the environment, and the Early Childhood Family Center demonstrates what we can achieve when we raise the standard for school design and construction,” said Steve Erickson, AIA, associate principal at BWBR, the firm which designed the facility. The Early Childhood Family Center opened in 2012 as a collaboration between Stillwater Area Public Schools, Courage Center St. Croix, and Northeast Metro Intermediate School District 916 to serve the growing needs of families and students for greater education support. 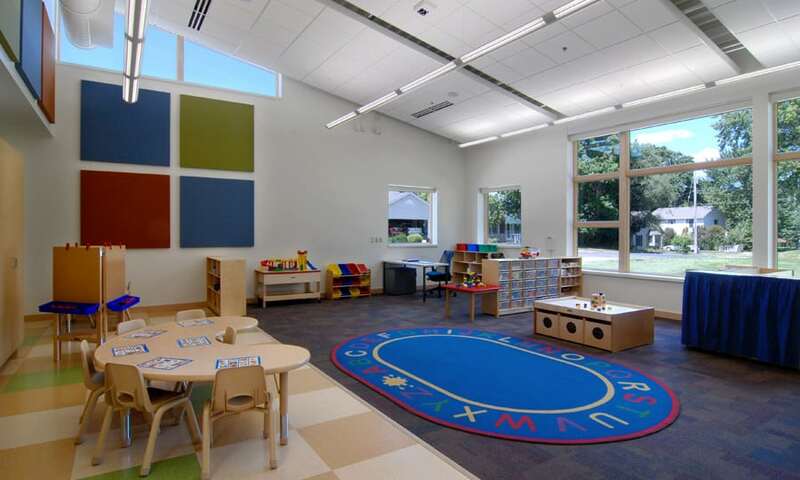 In addition to classrooms, the facility brings together therapy and special education services for children from birth to kindergarten under one roof. To achieve LEED-Gold status, the center utilizes a solar energy system to generate 5 percent of its annual energy needs; reduced storm water run-off through site design; uses 27 percent less water than similar facilities through low-flow plumbing fixtures; incorporates natural light in more than three-quarters of classroom areas; and has improved acoustics for instructional rooms, an element specific to the needs of school. Recycled materials, sustainably harvested wood, and low-emitting materials such as paints, flooring system, and adhesives were also part of the achieved criteria. Beyond its operation as an education center, the facility features conference rooms for parents, community rooms, and offices in order to foster an active and friendly environment for families and staff.